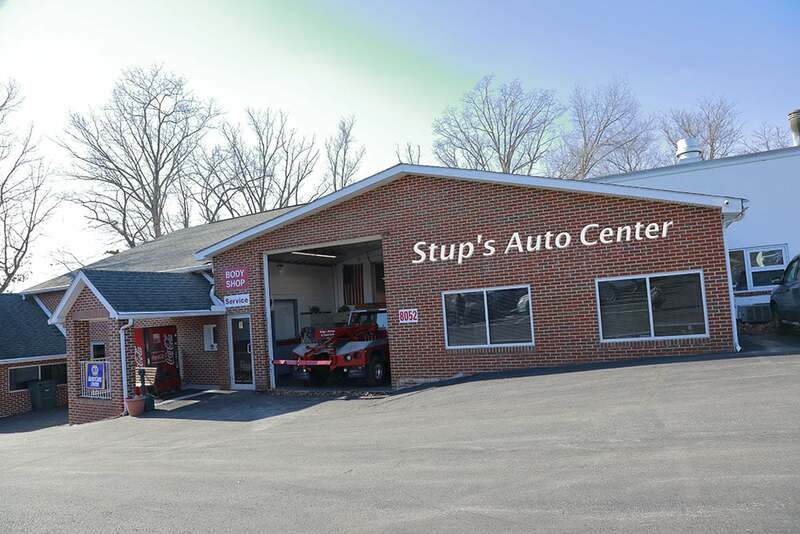 For more than 65 years, Stup’s Auto Center has been Frederick, MD’s first choice for quality auto parts, service, body work, towing, and salvage. Our commitment to exceptional customer service, each and every time, puts us far above the other guys. Whether your car just needs one small part or a full post-accident rebuild, the skilled team at Stup’s Auto Center can get you back on the road in no time! The part to fix my car is part of a larger assembly, that the dealership wanted $600 for. All I needed was the smallest piece, and then I can splice it in. Stup’s had it, charged me $20. In & out, no fuss, no mess, no problems. Very polite, and highly recommended. Great, honest service. Old fashioned place where they don’t BS you. Don’t try to up sell you into items you don’t need. I had to replace tires on a car I just inherited and the dealer wanted $1300 with alignment. Stup’s said alignment was fine and found a better set of tires for $650. Thank you for your honesty! I had been driving a hand-me-down clunker and wanted to get a newer car. Dave had me test drive some of the used cars on the lot. I didn’t love any of them, so he sat down with me and asked what I was looking for. He suggested some models I might like and suggested I go to the local dealership to drive them. Over the next month or two, he kept an eye out at used car auctions for the car he knew I’d like. He only bid on cars after looking into their history and checking them out himself. He got me a great car at a reasonable price, accepted my clunker as a trade in, and helped me with all the paperwork. I refer my friends to Stup’s all the time. I was in desperate need of a gear indicator for my Pontiac, and I needed it by the end of the week for my vehicle to pass inspection. Luckily, Stup’s was able to locate and retrieve it for me. I dealt with two very nice gentleman who got me what I needed quickly and efficiently. They managed to make a trip to the junkyard enjoyable and cost efficient! Please feel free to ask the experts at Stups Auto Center any questions you may have about all of your automotive needs, including how our recycling process works. We are here to serve you the customer, whether local or out of state.